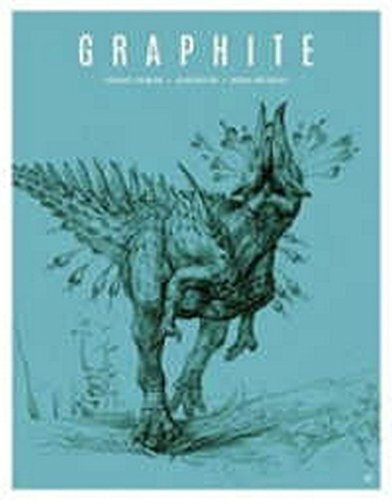 The GRAPHITE quarterly magazine from 3Dtotal is still going strong. Issue 7 features yet another group of wonderful artists, namely Andrew Mar, Benedetta Rossi, Federico Ferrarese, Lucy MacLeod, Suheb Zako, Gary Villarreal, Johan Barrios and Tiffany Turrill. There are lots to read again. Lengthy interviews on the creative workflow, the tools they use and of course the beautiful artworks. Andrew Mar is a concept artist who creates marvellous pen and ink art. I love Benedetta Rossi loose and colourful location sketches from Rome. Federico Ferrarese talks about how he designs and renders a concept. Find out why clients love Lucy MacLeod's art. There's also a gallery that features more artists and their work. Each issue of GRAPHITE is a jolt of inspiration. It's a wonderful magazine series I hope will continue into the far future.